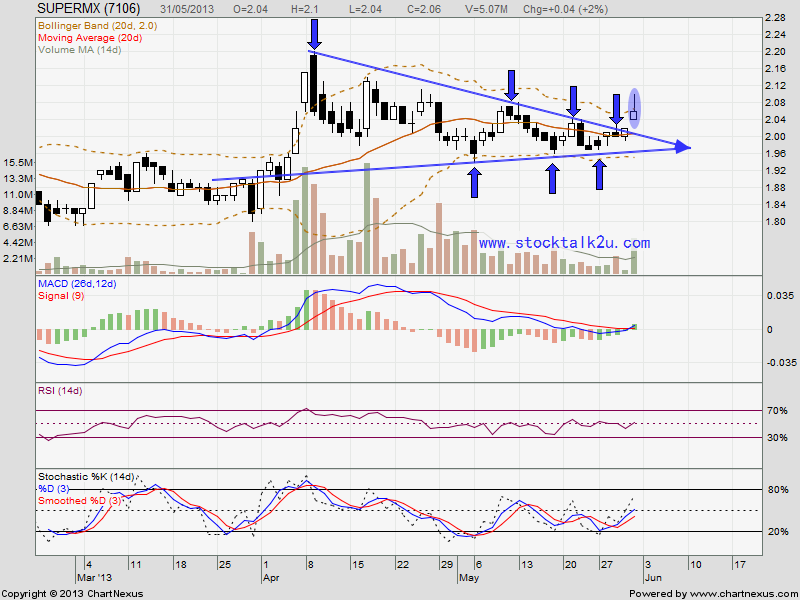 SUPERMAX succeed break through descending triangle. Stochastic %K BUY call itinerary. 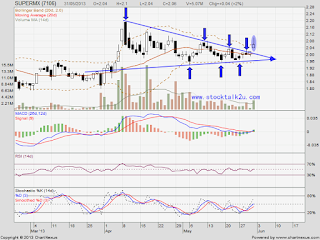 Subsequent resistance @ RM2.20 level.